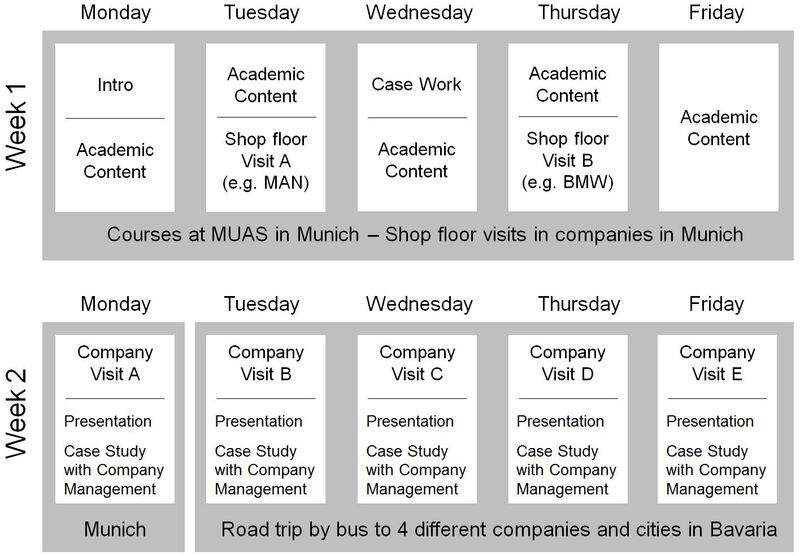 Munich University of Applied Sciences (MUAS) values the opportunities for communication offered by social media, for example via embedded videos. We would like to remind you, however, that clicking on the “play“ button of a video can already lead to your personal data being passed on, regardless of whether or not you are a member of the social network. This data can technically be used to create a profile for an individual. MUAS has no control over the consequences of this. Clicking on the play button will take you away from the secure area for which MUAS is responsible. Please bear in mind the data protection regulations and settings of the provider. Company visits make this summer school unique! The participants of this summer school will get an insight into several companies and learn about their successful methods at first hand. There are few cities more suitable for a program like this anywhere in the world: Munich is one of the leading economic, technological and scientific hubs in Germany. Many world-renowned companies from a wide range of industrial sectors are based here, including BMW, Siemens, MAN and Linde. 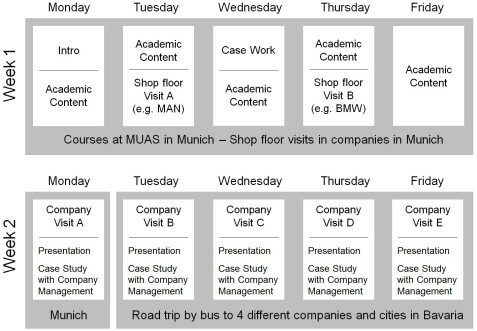 In the first week of the summer school companies located in the Munich area will be visited. In the second week a 4-day tour will take us to 4 different "champions" (leading companies in their business sector) in 4 different parts of southern Germany. During the company visits the participants will have the opportunity to see selected levers for Operational Excellence at work, and will discuss company-specific topics with the managers in charge. You will receive 6 ECTS for (3 US credits) for the academic content.